The urinary system consists of the kidneys, ureters, bladder and urethra. Infections of the urinary tract (UTIs) are the second most common type of infection in the body. • If you think you have a UTI, it is important to see your doctor. Your doctor can tell if you have a UTI by testing a sample of your urine. Treatment with medicines to kill the infection will make it better, often in one or two days. • Pyelonephritis is an ascending urinary tract infection that has reached the pelvis of the kidney .If the infection is severe, the term “urosepsis” is used interchangeably (sepsis being a systemic inflammatory response syndrome due to infection). It requires antibiotics as therapy, and treatment of any underlying causes to prevent recurrence. • It presents with dysuria (painful voiding of urine), abdominal pain (radiating to the back on the affected side) and tenderness of the bladder area and the side of the involved kidney (costovertebral angle tenderness) which may be elicited by performing the kidney punch. In many cases there are systemic symptoms in the form of fever, rigors (violent shivering while the temperature rises), headache, and vomiting. In severe cases, delirium may be present. 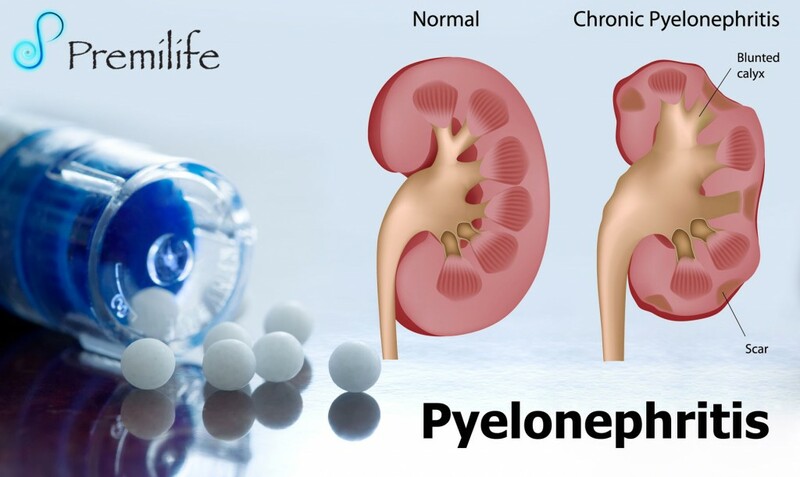 • Severe cases of pyelonephritis lead to sepsis, a systemic response to infection characterized by fever, a raised heart rate, rapid breathing and decreased blood pressure (occasionally leading to septic shock). This entry was posted in Kidneys and Urinary System. Bookmark the permalink.